Forever a Thrice fan, I tend to not take recommendations from Riley Breckenridge in stride, but when one of my favorite modern musicians additionally offers up his praise, how can I resist? After repeated listens of their debut album, One, I can confirm with flying colors that Big Jesus, hailing from Atlanta, deserves every ounce of this big name adoration they can muster, even if my recommendation carries nowhere near as much weight as the aforementioned alternative music gods. Record opener, "Cold Fire," serves as a fantastic introduction to the band's refined blend of huge, spacious sludge. While the guitars are aggressive and dripping with fuzz, Spencer Ussery's dreamy singing is a perfect counterpoint to them, lulling listeners into a comfortable sleep just before jolting them awake again with the solo's generously applied wah. 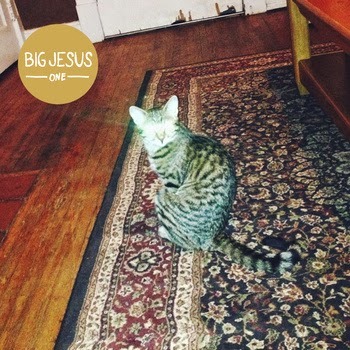 Featuring Aaron Wamack, a former guitarist of O'brother, on drums with his explosive snare and crash cymbals, Big Jesus' talent only continues to build with each passing second. When "Cold Fire" inevitably catches your attention, check out the accruing "My Being" and expansive "Ought to Take" for refined multiplications on the sound, and then purchase One from their Bandcamp for endless enjoyment. Atmosphere this carefully cultivated won't stop delivering any time soon.